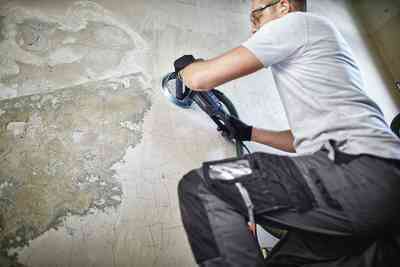 The specialist for hard sub-surfaces. 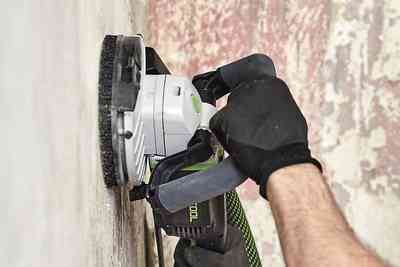 The diamond sander RG 130 E is THE removal tool on larger areas. 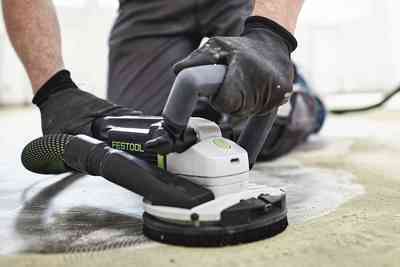 The speed optimised for diamond tools enables quick removal of concrete, screed and coatings on hard subsurfaces. 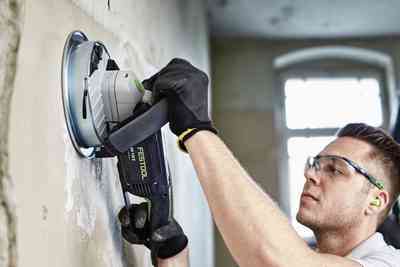 The segment which can be removed without using any tools enables proximate work - damage is ruled out with the wall stop. 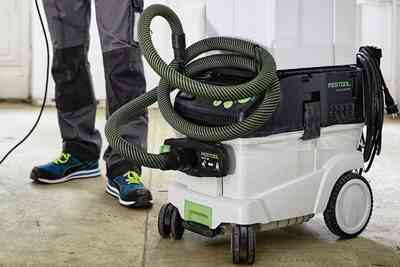 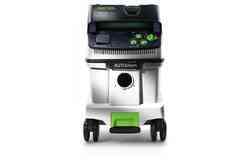 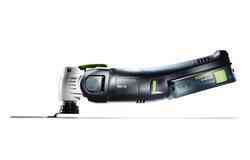 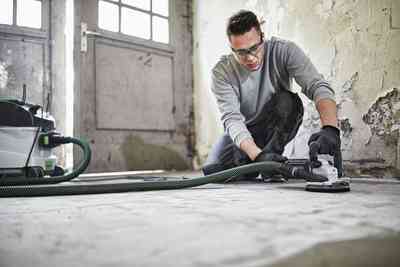 Thanks to the patented extractor spirals excellent extraction results are guaranteed thus enabling dust-free work. 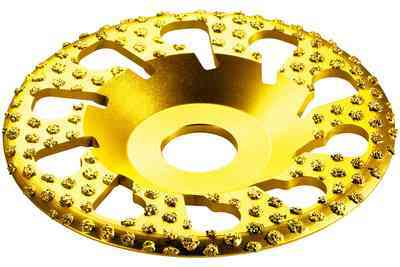 The DIA ABRASIVE diamond disc included with delivery is ideal for processing materials with high sand content, screed, unset concrete, adhesive on screed, sand-lime brick and aerated concrete. 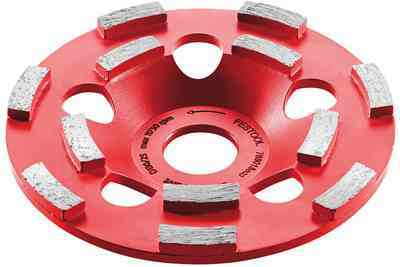 It can be swapped out for the HARD, STONE, PAINT or THERMO cutting discs in a few simple steps for working with the appropriate material. 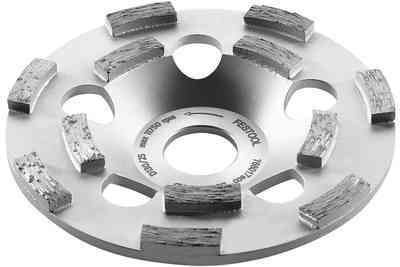 Material removal close to the edge and right up to the wall thanks to the segment that can be folded down without tools and work that is adapted to the material thanks to the speed optimised for diamond tools. 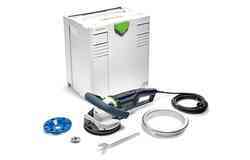 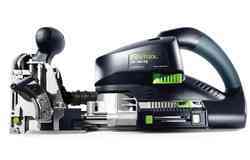 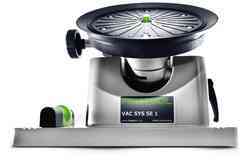 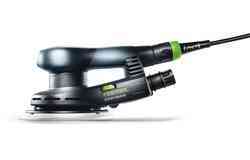 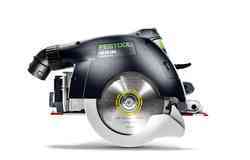 Clean and healthy work thanks to patented extraction spiral in conjunction with a Festool mobile dust extractor. 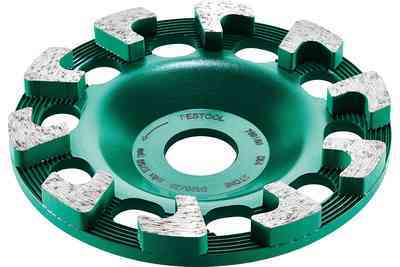 Broad range of accessories for diamond tools for the removal of concrete, screed and coatings. 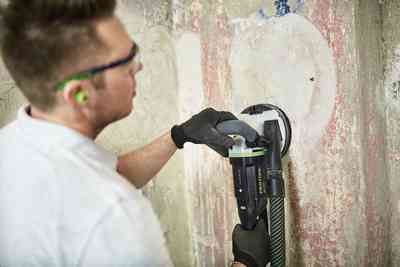 The segment can be folded back without using tools, enabling work to be carried out close to the edges. 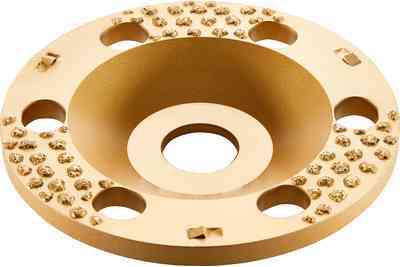 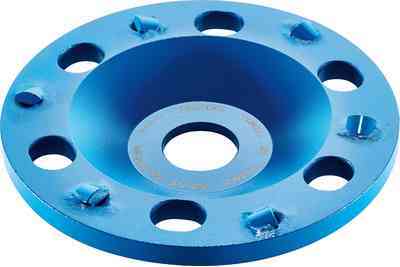 A wall stop and diamond disc (recessed by 0.5 mm) prevent any possibility of damage to the wall and edges. Thanks to the patented extraction spiral, the RG 130 E, when combined with the CTL/M 36 E AC HD dust extractors, achieves excellent extraction results and guarantees dust-free work. 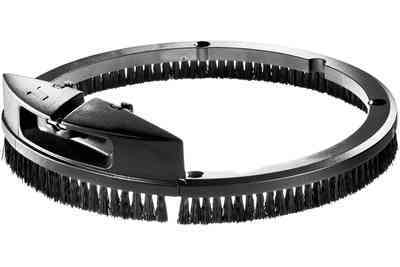 Uneven sub-surfaces and varying segment heights may cause leaks between the brush ring and the material. 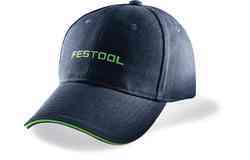 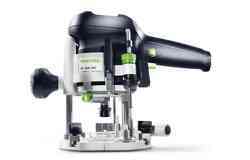 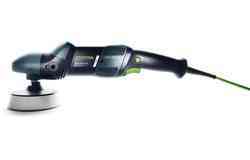 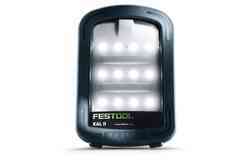 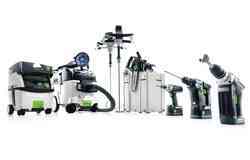 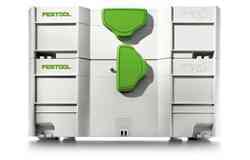 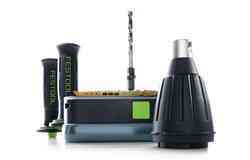 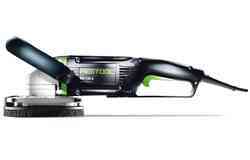 In contrast, Festool has developed a unique system. 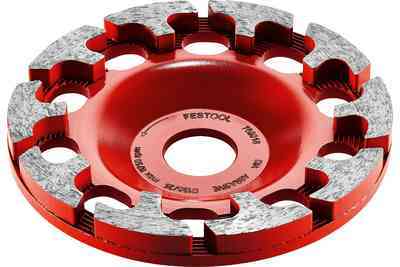 The brush ring automatically adapts to the surface that is to be sanded and reacts fluently to changes in the segment height. 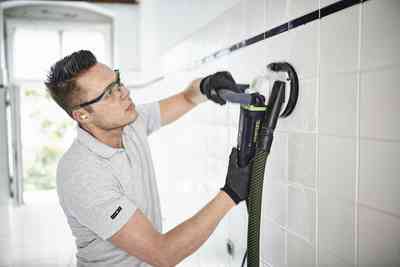 This means there are no longer any gaps left between the material and the brush ring, and the suction power is always excellent. 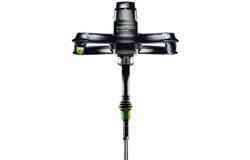 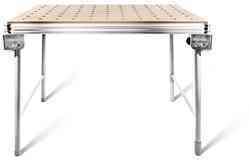 The additional handle with vibration damping reduces vibrations and therefore guarantees effortless work. 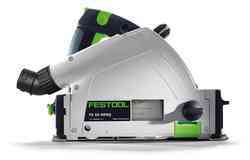 The position of the additional handle can be quickly adjusted to various working conditions without the need for any additional tools. 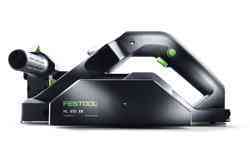 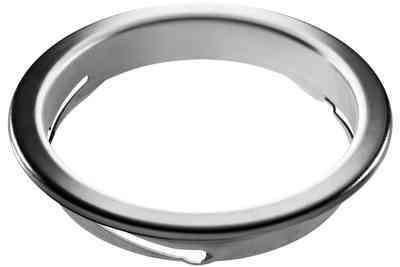 If required, the handle can also be folded back fully. 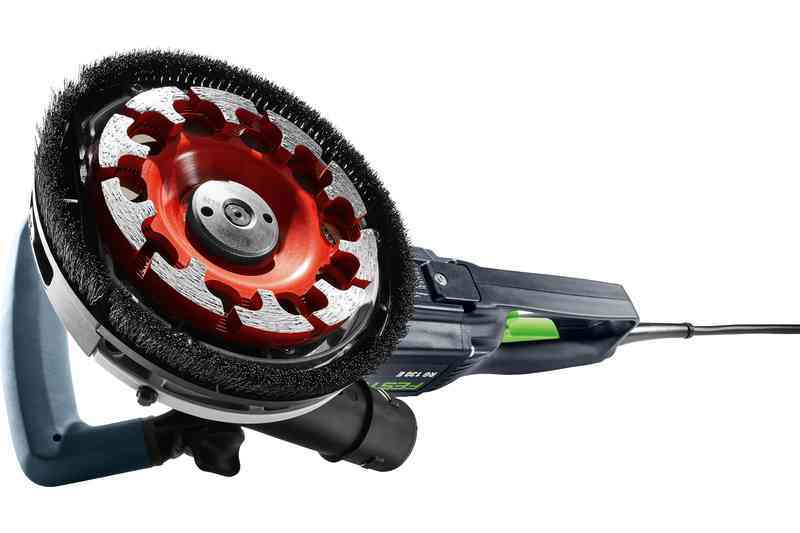 The RENOFIX RG 130 diamond grinder stands out with its optimised speed thanks to the extremely high material removal capacity for concrete, screed and coatings on hard sub-surfaces – but without dust formation. 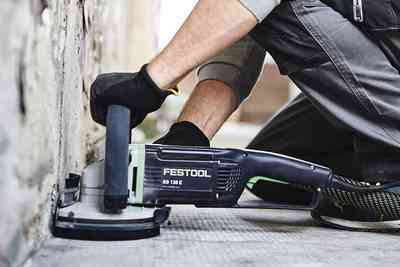 Additional sealing is provided by the brush ring – for even more effective dust extraction. 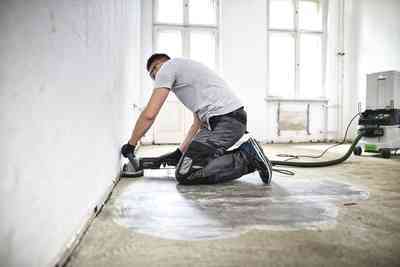 Whether you're working with plaster, adhesive, screed, concrete, paint or other coatings, the DIA HARD, ABRASIVE, STONE, THERMO and PAINT diamond discs can handle it all. And any disc can be swapped out for another in just a few simple steps. 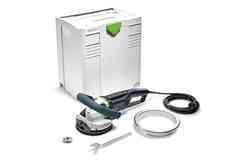 Mobile dust extractors and tools with the antistatic function to prevent static charge from accumulating when working. 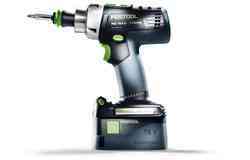 Speed control for adjusting to all types of materials. 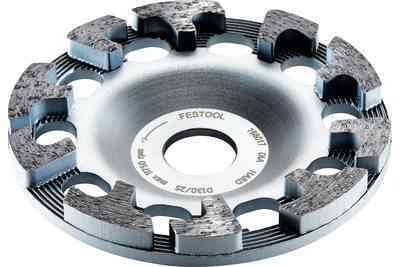 Integrated bayonet fitting as the connecting element between the extractor and the tool. 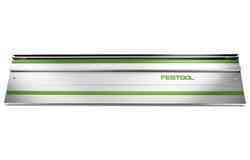 Simple start for household fuses. 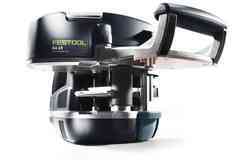 Protects the motor with blocking tool.